According to the VW Group, you must give consent before the diesel emissions fix is applied. This hasn’t stopped dealers from applying it without owners knowledge and it certainly hasn’t done a lot for their reputation. But what happens if you’ve got your heart set on an affected VAG Euro5 diesel vehicle and you want to check if it’s been “fixed”? It just so happens that the VW Group give you the very tools to check. Simply use their handy tool to return the VIN number and the form will show the emissions fix update status. 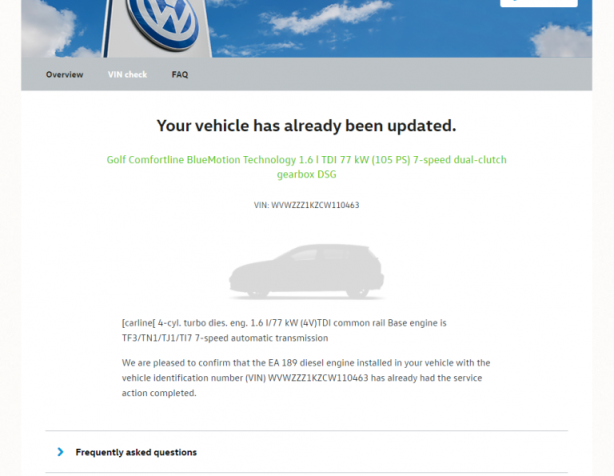 Not only will the above websites tell you the status of the update it will also inform you if your vehicle was affected by the recall. For those of you with Euro6 cars you will see that you have been spared the #VWFixFail misery. Are you buying from a main dealer? If you’re buying from a main dealer then you should expect to see that all the affected vehicles will have had the emissions fix applied. We checked a large selection of Euro5 cars on the VW used car website and every single one of them reported the fix had been done. This may not be the case for independent garages and private sales. We suggest you check before you set your heart on a car. Should I buy a “fixed” car? I for one wouldn’t touch a fixed car with a barge pole, but that’s just my opinion. What ever you decide, do your research and make sure you discuss any concerns with your car sales person before you hand over your cold hard cash. ** Update ** Fixed the link for the Audi checker. Thanks for the feedback! Have you been affected by the VW emissions fix? 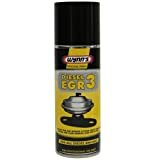 Did VW cover the complete cost of your replacement EGR valve as good will? Lets hear from you! Please also take the time to fill out our Emissions fix survey so we can slam the VW Group in the face with the FACTS. If you’ve found this article helpful you might also like to read our other #dieselgate – VW emissions fix articles. The list is getting long! How long until the VW VAG Emissions fix claims it’s first victim? VW Emissions Fix Survey – The Results are in! How long until the VW VAG Emissions fix claims it's first victim?